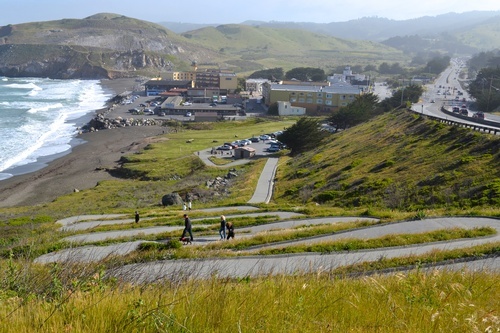 Pacifica Motorl Inn is 20 minutes south of San Francisco, along the beautiful coast of Pacifica. 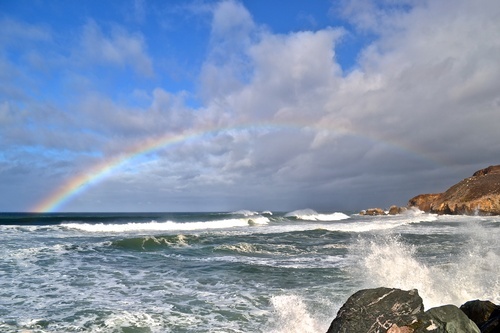 The hotel resides in Rockaway Beach, steps away from na ocean walk or sunset. 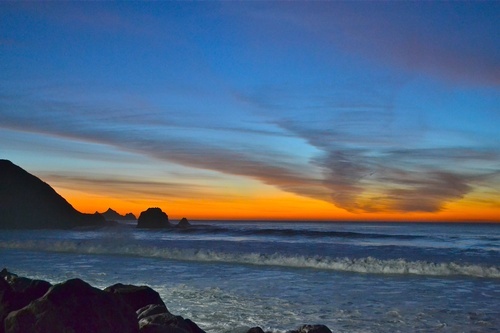 If you are traveling along the coast and need an affordable lodging option, the Pacifica Motor Inn is an ideal hotel. We offer various types of lodging options, from single queens to two queen beds thus making it ideal for one person to a family of four. All of our guestrooms are ADA Defined service-animal friendly. 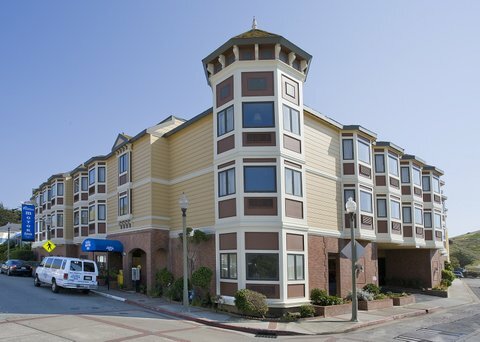 The Pacifica Motor Inn is a 100% Non-Smoking facility. Sorry, no pets allowed and there are designated smoking areas throughout the exterior of the hotel. 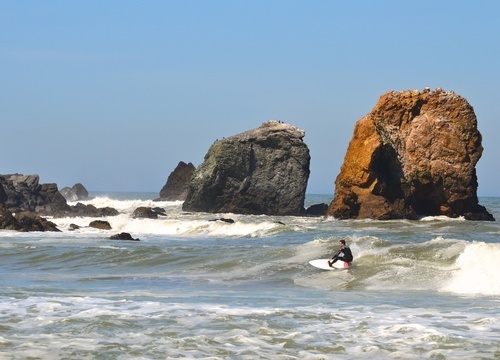 The Pacifica Motor Inn is a square shaped hotel with free parking in the center, some of our rooms consist of amazing views of the Pacific Ocean and Rockaway Beach. Yes, there's a castle in Pacifica!